Centre of the stage right now of our local produce, is the one, the many varieties of BANANA. Now this is a very short post on a very large subject, but as you all may know (in the NT) our bananas have been ordered to be destroyed by April in a very large eradication zone from Darwin to very near Adelaide River township because of Banana Freckle. Some people are outraged, some sad- I mean who doesn’t have bananas or love bananas in the Darwin region? We will post some more information and maps here very soon, but would like to share with you our love for the banana, our sadness that it needs to be destroyed and the many wonderful uses it has for us in our community! 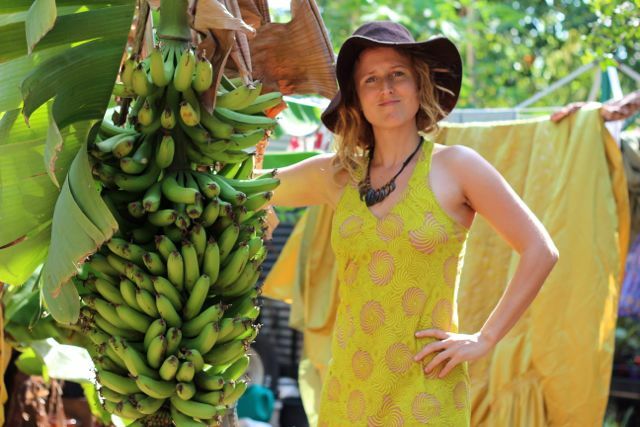 On Sunday March 8th we will be celebrating the Banana at a Community Banana Festival at the Mulch Pit, Nightcliff. We will be having cooking demonstrations, art and craft, including banana fibre weaving, banana fibre paper making, banana theatre, music and talks about how amazing the banana is and some more info on how it has come about we need to get rid of them (for a while). 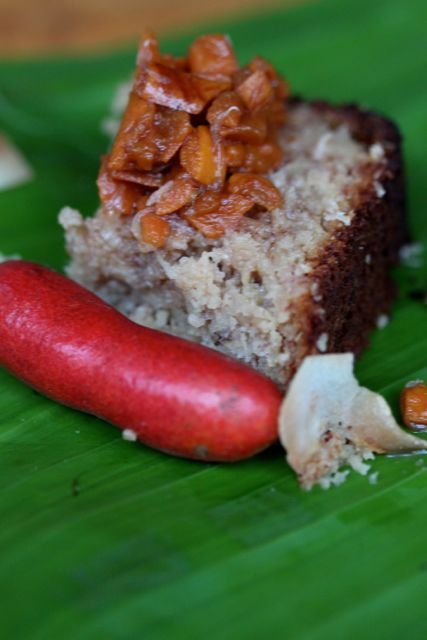 The festival will be a wake for the banana and accumulate in shared banana dishes and a farewell ceremony! The poster for this is released tomorrow! The banana is an incredible plant, infact a herb in Musaceae family and there are hundreds of varieties, all growing in the tropics and sub tropics. For now we will share just a few images from The GULP project of the diverse banana as food and friend from our community! Nick in Alawa loves his bananas and is waiting for his last ones to ripen. Jon even showers in his bananas everyday (in a banana circle) and things could be quite exposed without them! 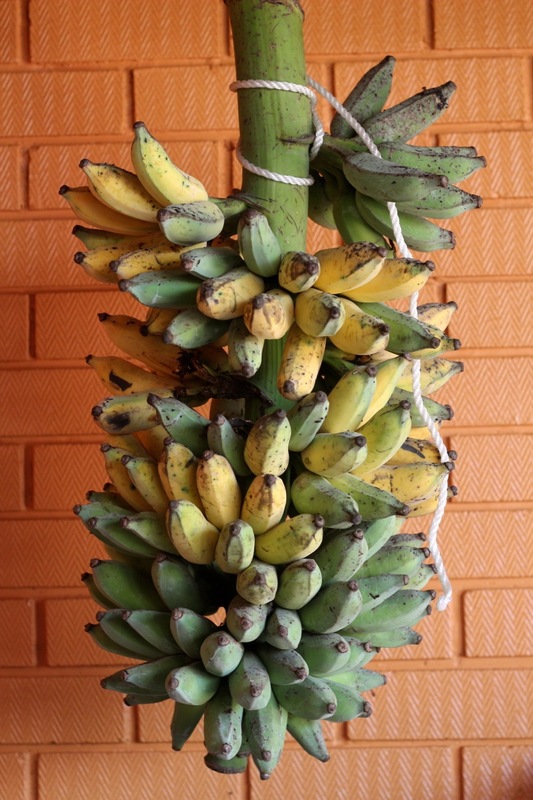 The flower of the banana is used for so many delicious dishes. 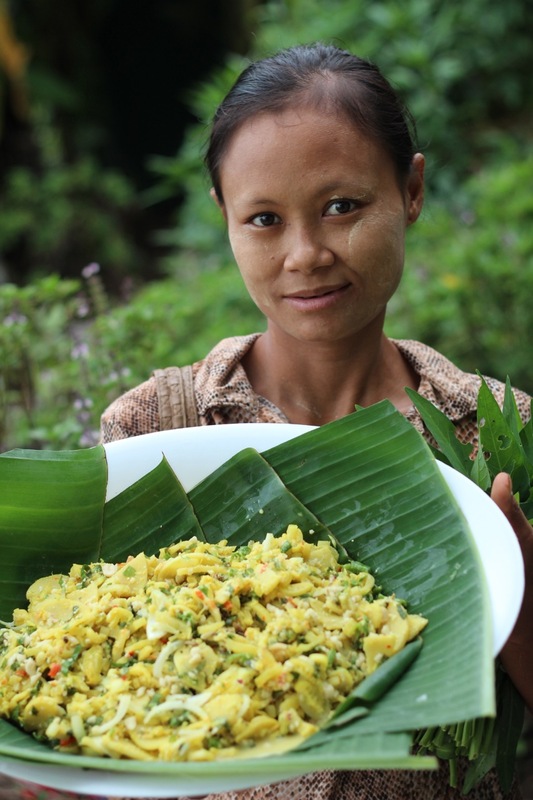 Above is Kate (from Alawa)’s banana flower salad, where parts of the flower and boiled and chopped into a wonderful Asian style dish! 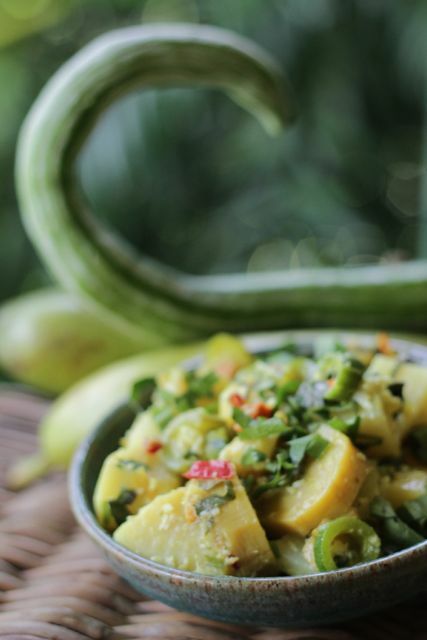 The young trunk of the banana can be made into many dishes, including this Bhurmese dish, cooked by Sundar Tun of Bhurma (above) and below a soup with Banana trunk made by Sandar (also of Bhurma) both of My Sister’s Kitchen in Karama. 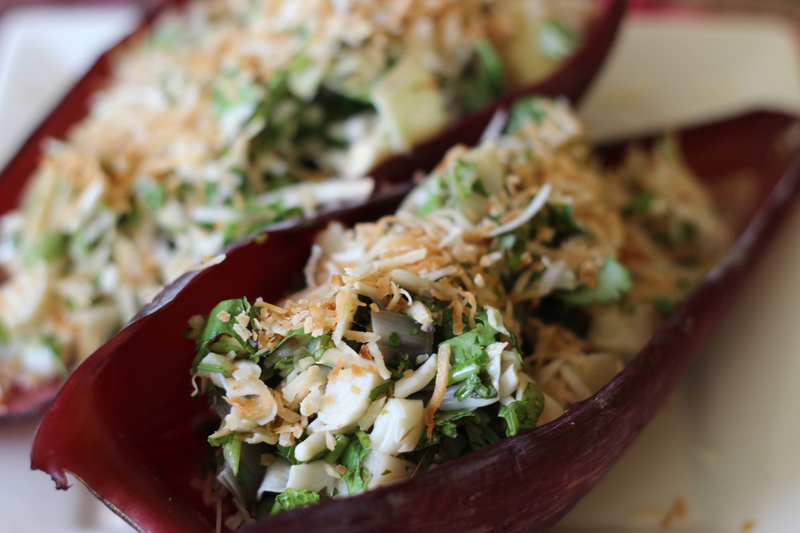 An Indian style curry can also be made from Banana trunk, like the one below, made by Erin of Fannie Bay. Banana cakes are a classic and most people in the Darwin area would have a recipe! The one pictured below with a native bushtucker fruit (Meiyogne or Bush Apricot) was made by Grusha of Nakara. 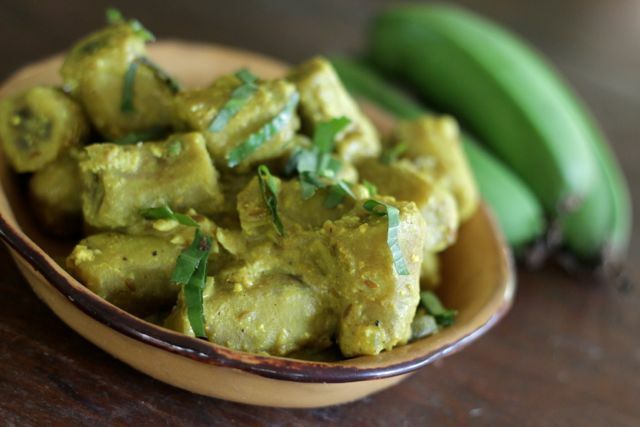 Bananas that are green can be used for curries like the two below (one just banana, one with snake gourd in too) The plantain variety is best to make this, but most larger bananas can be used green. 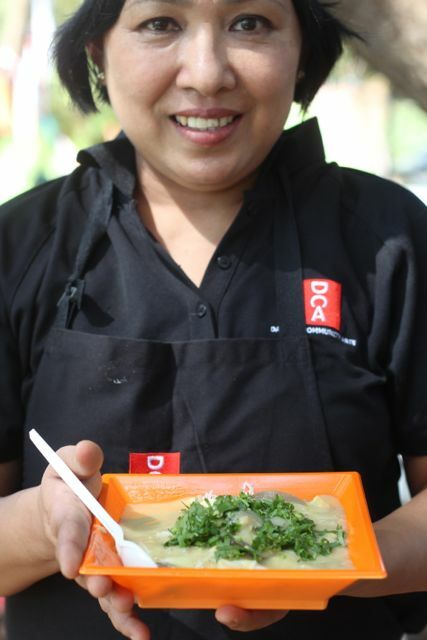 The curries below were made by Emma in Alawa, of Taste of The Top End. 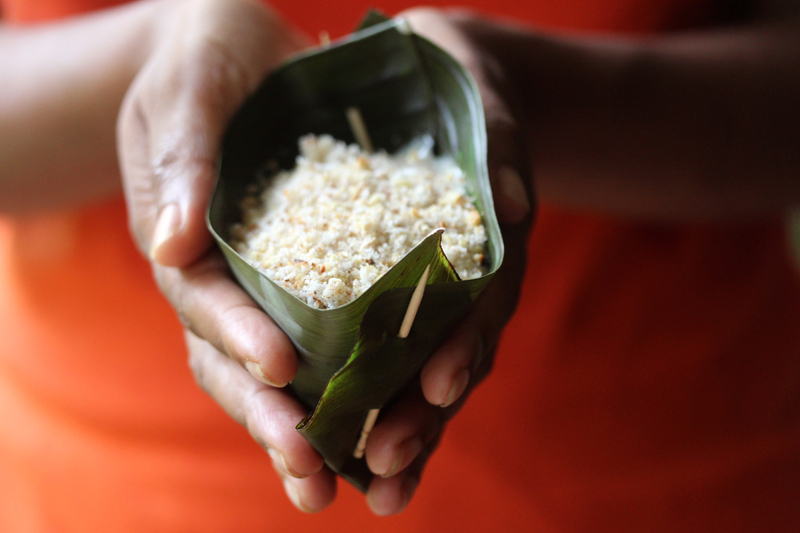 Banana leaves are used to wrap so many things, to be cooked in a fire, steamed or baked in an oven. 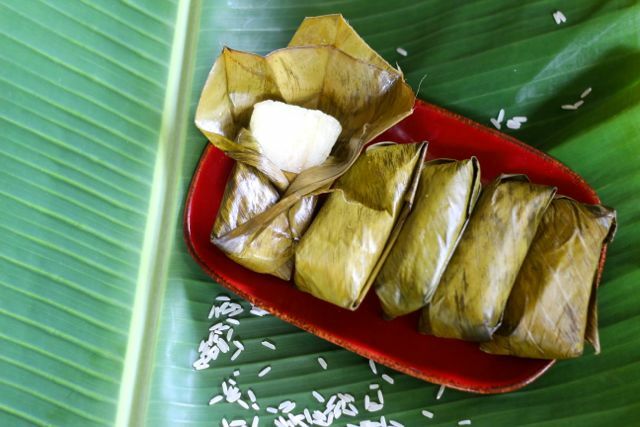 INcluded are the wonderful banana leaf wrapped sticky rice banana sweets from Rapid Creek market. 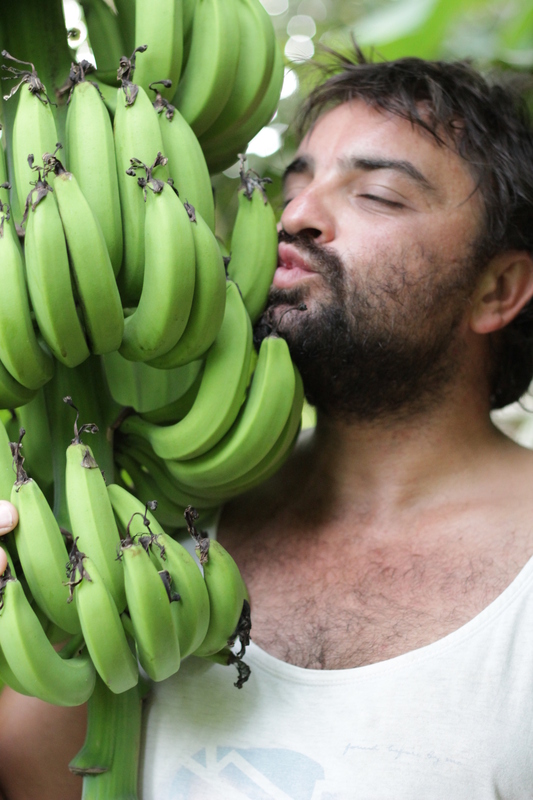 Bananas are used for weaving, as fibre and are pretty much found in everyone’s yard! Watch this space for more of the banana. 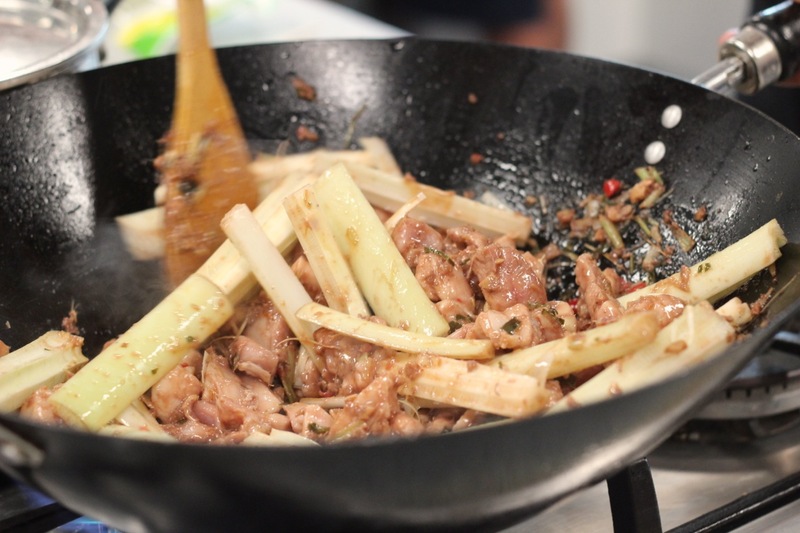 Please send in your recipes and why you love the banana!